"Colleges are like newspapers, brick-and-mortar retail stores or manufacturers of internal combustion engines. The disruption that defines our era threatens us all. " Credo's work within the higher education landscape has resulted in our hearing the "m word" more and more frequently. Mergers in higher education are becoming increasingly prevalent, specifically among small, independent, tuition-driven colleges and universities who are struggling to stay afloat and compete with larger, better-funded research universities. We know that change is often slow to happen in education; but without disruptive change to increase visibility and viability, many small colleges and universities will be unable to keep their doors open--so they consider merging. This recent article, "There's No Shame In Merging," was written by Frank H. Wu, a Distinguished Professor from the University of California, Hastings, to address why mergers are becoming more common. It suggests some preemptive alternatives to surrendering autonomy to keep the doors (somewhat) open, but the focus of the article remains on the positivity of merging. Professor Wu’s article raises a number of valid points. Independent higher education is facing challenges on many fronts, not the least of which is constrained resources. In Credo's strategic planning work with institutions, we talk about a number of ways colleges and universities can get resources. We describe these means to obtain resources as a continuum with collaboration and partnerships on one end and mergers on the other. Professor Wu focuses on mergers, but there are alternatives to combining, which also ought to be explored. His article also seems focused on traditional undergraduate and graduate student revenue, minimizing the potential of adult and online strategies as additional sources of revenue. For a campus steeped in the traditional liberal arts, mission expansion to serve adult and online learners may be a more palatable option than merging (or closing). The combined institution must reflect more than simple addition; or, each institution must be worth more than the sum of its parts. As a former president used to say when approached about mergers, “1 plus 1 must equal 3 in terms of strength, not 2, not 1.5.” In other words, the merged institution must offer advantages in efficiency, market strength, program offerings, and expertise over what the two separate institutions provided on their own. Put another way, a strong institution must be careful about merging with a weak institution lest the result be something weaker. Efficiency and expertise are a powerful combination. Think about the fixed costs involved in running basic student services such as financial aid, billing, registrar, and housing. Is there a way for an expert to lead each of these areas on more than one campus to spread out the cost and create more efficient systems and processes? For example, financial aid leaders who run effective offices build strong campus partnerships and keep their campuses compliant are difficult to find. One such expert, when supported by the right people and systems around them, could provide their expertise across more than one campus. Higher education is notoriously good at adding programs, buildings, activities, and the employees to run them. Part of Professor Wu’s “doing something altogether different” could be rigorous subtraction of programs which are not serving students well and/or draining institutional resources disproportionately. This type of disruption could allow for a laser focus on mission and value, and permit a reallocation of valuable resources towards departments and services that already have momentum and notable value for students. 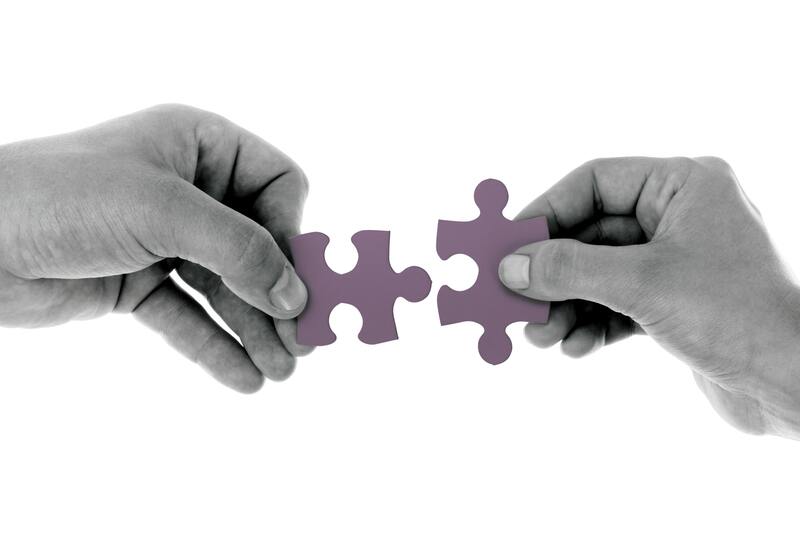 Though mergers are not necessarily a negative, before jumping the gun towards a last-resort option, explore the entire continuum of opportunities available to your institution in terms of cultivating collaborative partnerships, focusing on what you're good at, and building the value of your "value proposition." If your current reality is faltering, how can you disrupt that reality and capitalize on differentiation? Once all other options are exhausted, then it may be time to consider the "m word;" and we must admit, "merger" doesn't have to be a bad word!